Time and again, ‘words’ have proven to be either the greatest boon or the crushing bane of businesses. While a powerfully crafted sales pitch might compel a prospect to seal-the-deal, a distasteful phrase could possibly annihilate opportunities. Therefore, it is critical for professionals to be aware of the kind of phrases they should use to effectively pursue prospective clients. 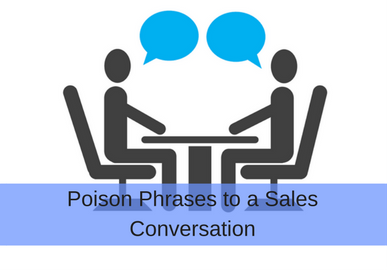 In order to garner a positive and encouraging response from your clients, ensure to purposefully avoid the following ‘poisonous phrases’ from your sales conversations. I’ll admit to using this one sometimes myself until I realized that the phrase fails to create powerful impact/call-to-action for the prospects. If you are a sales professional who is following up on a prospective client, avoid procrastination and dive straight into the purpose of the call. Fillers such as ‘and’ and ‘or’ are used to impart maximum amount of information in the least amount of time. But, excessive utilization of such fillers extends the conversation and at times, dilutes the message. Therefore, to avoid confusing and annoying prospects, ensure that your sales pitches are direct, concise and to-the-point. 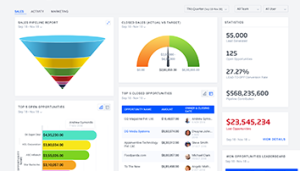 This further empowers the discussion and keeps the client positively engaged. This could be a perfectly innocuous phrase clearly showing that you want to buy time for aptly answering a client question. Today, buyers don’t need any external validation; they just expect timely responses to their queries. So why not replace such frayed phrases with pertinent expressions such as “Allow me to think about it”. This successfully establishes you as a profound/thoughtful professional who provides instant and precise solutions to clients. “I hope you don’t mind me asking” or “I hope this e-mail/voice mail reaches you in a timely fashion” should absolutely forbid from your sales vocabulary. Such expressions do not serve any purpose rather they clutter the core message and waste valuable time. So, if you are a sales professional trying to pitch a product/service, firstly, study your client well and then get straight to the point through proactive questions, rather than indulging in unnecessary niceties.